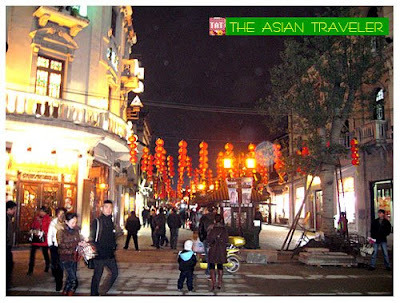 In the evening we meandered over to Hefang Street also called "Qinghefang" located east of the famous West Lake. This street is a folk art and cultural shopping center with pedestrianized zone (paving slabs on the walkway) and somewhat well-organized line of stores. As we ambled along the 460m street, I felt the involuntary mental time travel into the past. 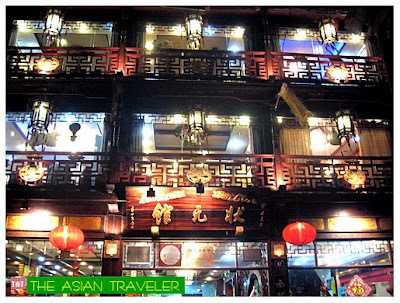 The street was swarmed with traditional Chinese-style two stories wood-structure (architecture in the Southern Song Style), and red lanterns hanging throughout the surrounding area that created such a festive atmosphere. 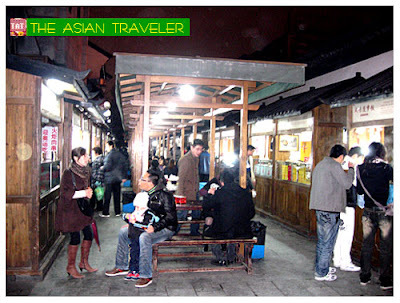 Without a doubt, Hefang Street epitomizes the long history and culture of Hangzhou in a nutshell. Surprisingly, our visit here was not as crowded and loud as I had expected. The vendors were certainly not pushy and not at all insistent. 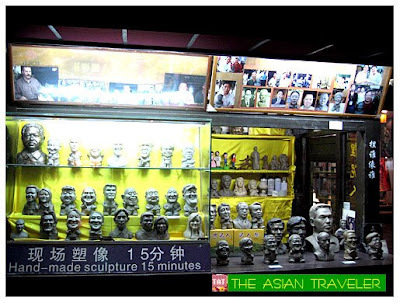 There are more than 100 traditional shops mainly tea houses, art hawkers, caricaturists, silk, foods, curious, calligraphy, paintings, varieties of ginseng roots for sale and some interesting stuff. 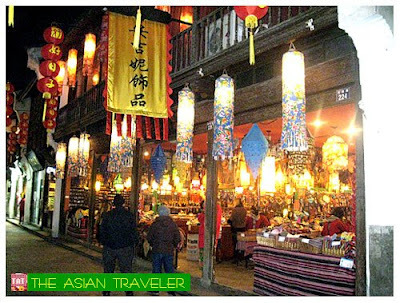 There are renowned shops such as the Wanlong Ham Shop and Wang Xi Jing Fan Store. 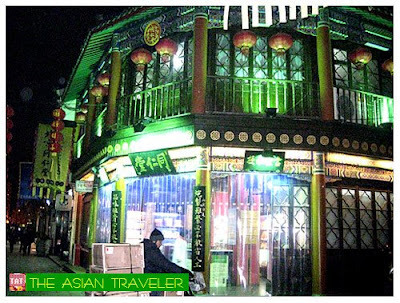 We also came upon the old and famous Hu Qing Yu Tang Chinese Medicine store. But unfortunately, we never got the chance to go to the Museum of Traditional Chinese Medicine. 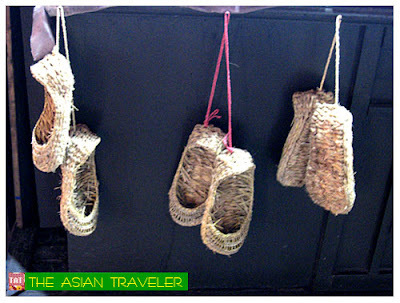 As we walked along, we saw these unique slippers (usually seen in ancient-themed Chinese and Korean films) that are made of corn husk and other natural plant husk . It is said during ancient times, clothing identified a person's rank or status within the society. The affluent wore silk and brocade coverings on their feet, while the peasants wore hand woven straw slippers. There's also a unique booth offering a fun opportunity both men and women a chance to get all dress up. You'll get to experiment with your looks as they offer a vast collection of traditional period costumes. 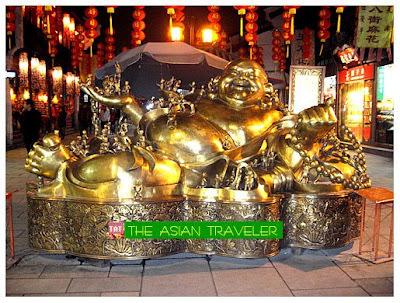 Aside from the unique wardrobe, the Sedan chair decked with eye-catching ornaments photo prop also creates a spatial dislocation into ancient China dynasties. Another thing, if you're starving and would like to grab a quick sustenance, you can try some of the old fashion Chinese style restaurants and a number of small eateries that can be found in this street. I got so excited when I saw this restaurant. It was like stepping back in time, even the waiters wore traditional clothes. 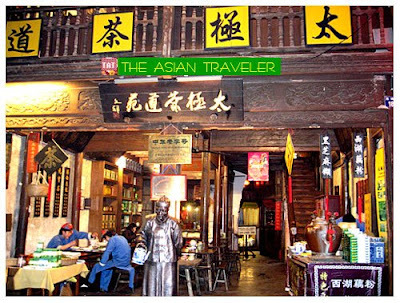 If you find yourself in Hangzhou and you're looking for herbal medicines, fans, silk, some unique and specialty items, or just a quick bite to eat, Hefang street will be a good place to visit. Hefang Street is indeed an interesting place. Lot of variety there. Love it. wow. it's really like being transported to another time. great post! Great post! i really enjoyed reading it! nice photos.